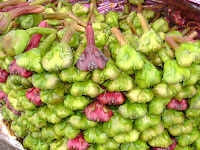 Singhara fruit you all know,in India we know it by the name of Singhara and in english it is known as water caltrop.This fruit is eaten much more in winter time,this fruit is rich in nutritious elements and vitamins.Singhara gives strength to the body and does not allow blood loss in the body. It is also very beneficial for pregnant women.Singhara is very good for our entire health because the nutrients present in it are vitamin A, citric acid, phosphorus, protein, nicotinic acid, vitamin c, manganese, thiamin, carbohydrate,dietary fiber, calcium, zinc, iron, potassium, sodium, iodine, magnesium help keep our body healthy and strong. To get rid of the stomach problem,singhara fruit is considered as a natural remedy.For reduce acidity, indigestion problem start eating this fruit.Simultaneously, the problem of appetite in children and adults is solved with the consumption of singhara. Consumption of singhara not only benefits the health but it is also useful for our beauty.The elements present in it prevent hair from hair fall and getting worse.Its consumption strengthens hair and gives them proper nutrition which also promote hairs growth. 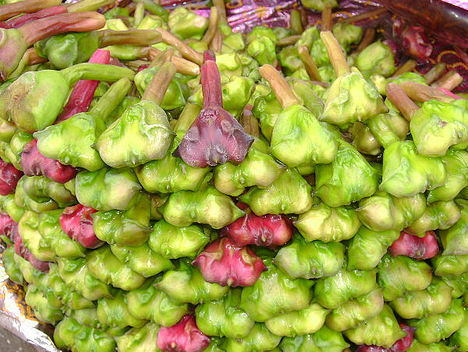 Some people eat it raw or some eat it boiling.In many places it is also used as a vegetable.Ditoxifting properties are found in Singhara.It is effective in taking out the toxins present in the body.If someone has jaundice, then the use of Singhara can be very beneficial for him. Singhara contain minerals like manganese,iodine which maintain the proper functioning of thyroid. Very useful for those who suffer from jaundice. Singhara juice very good in diarrhea. Good for anemia,sore throat,urinary disorders,leprosy etc.